PLEASE NOTE: This is a highly customisable product. 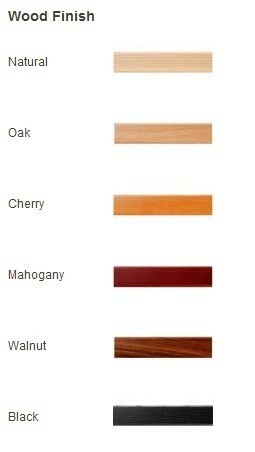 If you cannot see the colour/shelf/finish combination that you require then please call us on 0844 50 403 50 or email (include your email or phone number) listing the options you're looking for. We'll always quote the BEST PRICE. Earn 740 loyalty points when you order this item. The Custom Design Milan Inert Hi-Fi 3 has been carefully crafted to complement the hugely popular range of Milan hi-fi and AV supports and to help Custom Design to celebrate a quarter century spent designing and manufacturing uncompromising Hi-Fi and Audio Visual Furniture in the UK. 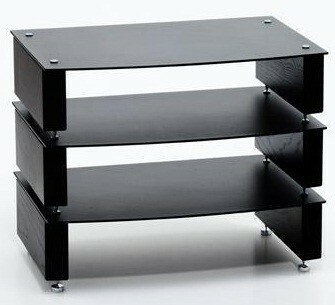 The Milan Inert Isolation Hi-Fi 3 Support Range has been developed following many painstaking and rigorous tests. These tests have led to the creation of th by now world famous constrained layer dampening system which prevents any one common frequency transmitting through the inert aluminium shelving or solid hardwood supports which results in an unhindered playback and perfect, true sounds from your hi-fi and AV systems. 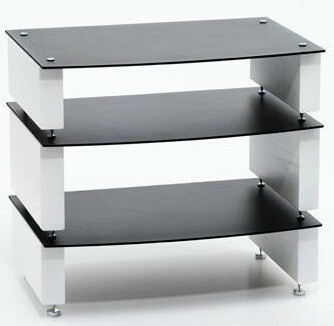 The most remarkable difference the Milan Inert Hi-Fi Support range can provide to equipment is bass frequencies offering tuneful and dynamic bass which offers a whole universe of intricacies to the listener, making them feel as though they are hearing some of their favourite recordings for the first time.